Occasionally, I teach a Bible Study at my church. Yesterday, I taught from Luke 5:1-11. This is the story of Jesus telling Peter and other would be disciples to, “Put out into deep water, and let down the nets for a catch.” If you have read this before, you know that once the disciples did this, the load of fish that they caught was so great they needed help just to get the fish to shore. Peter’s response was reluctant, skeptical, and downright doubtful. He was really telling Jesus that Jesus didn’t know what he was talking about and that nothing is going to change. Peter gave Jesus a courtesy response with little expectation of anything significant happening. Is Jesus talking to you? Is he asking you to go deep? Are you being asked to put down your net one more time even though it feels as if you have already done it a 100 times with little result? You need to have more confidence than Peter. Read scripture, pray, meditate, worship, speak that word to a friend, and listen to God once again. 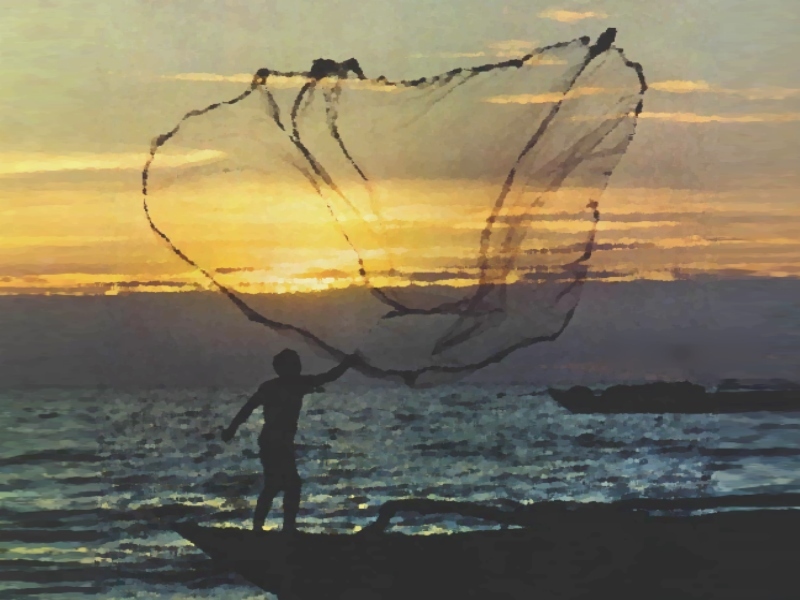 Let down that net and see the abundant catch that only Jesus can provide. This entry was posted in Uncategorized and tagged christian living, Christianity, disciples, doubt, faith, fishing, Jesus, Peter by Scott Jeffries. Bookmark the permalink.